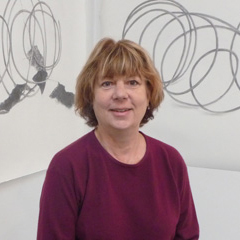 Joy Nagy is a photographer, drawer, painter, sculptor and installation artist. Her work focuses on “botanical underdogs” ever since she fell in love with the burdock weed in 2003. She uses an environment’s history and botanical reference as an influence to properly document her work. She has studied at the School of Visual Arts, the New York Studio School, and the Arts Students League. She is currently residing in NYC, NY.